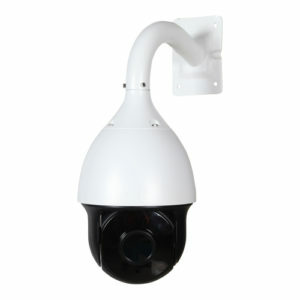 PTZ and Motorized Zoom Cameras are a great addition to any CCTV system. PTZ stands for Pan, Tilt, Zoom, which are motorized functions on the camera. The pan, tilt, and zoom (PTZ) functions of these cameras allow for controlling the direction and field of view of the camera. An operator can follow or scan based on active concerns or zoom in and out, and the PTZ can even be controlled from a remote location via the Web. 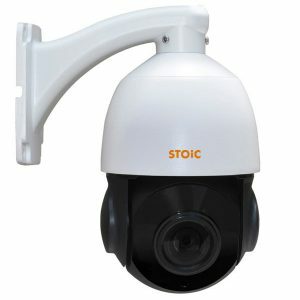 Ellipse Security carries a variety of PTZ cameras and Motorized Zoom Security Cameras in all formats, for any cctv system. The cameras feature multiple zoom capabilities, many up to 37X optical zoom and up to 360 degree rotation. Depending on your property or application, you may wish to consider HD PTZ Security Cameras or IP Network PTZ Cameras to protect your home or business. Call us today for more information or to find out which PTZ will fit your CCTV System best!